Dealing with financial issues, a disgruntled carpenter finds himself in desperate times. He has just the displeasure of working for a wealthy woman who recently wronged him. She has been suffering from amnesia after falling off her yacht, so he convinces her that she is actually his wife. He brings her back to his house where she is forced to live in squalor, do housework, and take care of his four kids. If "Overboard" had been made today, it might be considered a little problematic to say the least. 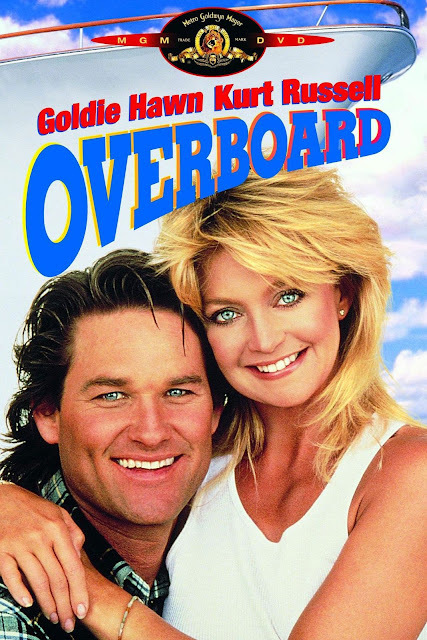 Luckily, "Overboard" was made in the 80's during a time when people weren't overly concerned with the social implications explored in its overall concept. With that being said, we'd like to remind you that Hollywood's latest remake, "Overboard," is out in theaters this weekend. The major difference is the genders are flipped, so we'll see if anyone gets outraged. This 1987 film is directed by Garry Marshall, who is known for making other flicks like "Beaches," "Pretty Woman," and "Runaway Bride." It is written by Leslie Dixon, who has worked on screenplays for films like "Outrageous Fortune," "Mrs. Doubtfire," and "The Thomas Crown Affair." The film stars Kurt Russell as Dean Proffitt, a blue-collar carpenter who was hired to install shoe shelves in a closet on the yacht of a wealthy heiress named Joanna Stayton (Goldie Hawn). Despite doing the job as promised, Joanna is unhappy with his work and refuses to pay him. To make matters worse, she dumps all of his expensive tools overboard. Later that day, Joanna falls off the yacht and into the ocean. After being rescued, she wakes up with amnesia and cannot recollect anything, not even her name. When her actual husband Grant (Edward Herrmann) denies that he knows her, Dean moves in for his revenge. He convinces Joanna that her name is Annie and that he is her husband. He takes "Annie" back home where he puts her to work as a housewife and forces her to do manual labor while taking care of his four unruly sons. The big social movement in the 80's was about the strength of the blue-collar worker and their struggles finding steady employment. There was also a growing resentment towards yuppy culture that was birthed out of Reaganomics. "Overboard" offered the public what they needed at the right time: an unsung blue-collar hero who puts a wealthy woman in her place and forces her to do an honest day's work. Sure, Dean technically commits a pesky offense called kidnapping and keeps Joanna in indentured servitude, but the ongoing theme is that she deserved it in order to learn to appreciate how hard the average person works. Plus, the film avoids the taboo by making it clear that Dean is not attempting to sexually exploit her and even goes as far as making her sleep on the couch. Still, we can understand why this comedy won't hold up for many viewers. Speaking of comedy, much of the humor is derived from the fish-out-of-water scenario where Hawn's Joanna struggles to do even the most basic things like doing the dishes, washing laundry, and cooking a simple meal. 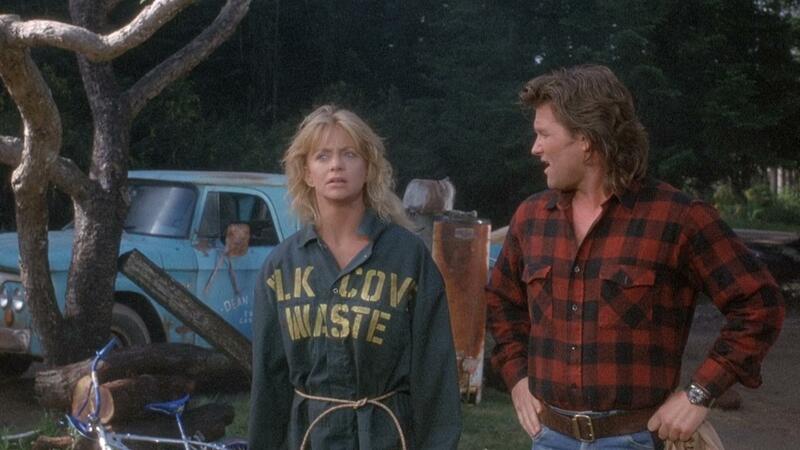 Goldie Hawn is side-splittingly funny in this flick. Whether she is delivering a snide or quippy line or doing a silly physical gag, she brings the laughs frequently. Kurt Russell is as charming as always here. For much of the 80's and even far beyond that, Russell could have easily been seen as the most charming man in Hollywood. It is a level of charisma that is only rivaled by the likes of Dwayne Johnson. That charisma allows him to deliver almost any line of dialogue and get a good reaction from the audience no matter how unpleasant it may be. Despite the overall concept of the movie not aging all that well, the humor itself, the performances, and everything else about "Overboard" still holds up well for us. We still find it to be very enjoyable. Goldie Hawn and Kurt Russell have undeniable chemistry and it's easy to see why: they have been together since 1983.